The U.S. Commerce Department on Monday announced punitive sanctions against China's ZTE Corp., the latest twist in a story that dates back eight years. 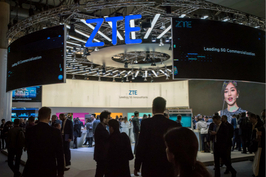 The case began in 2012 when Washington began probing ZTE — the world's fourth-largest telecom-equipment provider — over allegations that it sold networking equipment containing U.S.-made parts to Iran in violation of U.S. sanctions at that time. 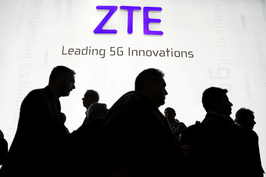 ZTE later reached a settlement in the matter, allowing it to avoid a Washington order that would have barred it from buying U.S.-made components for seven years. 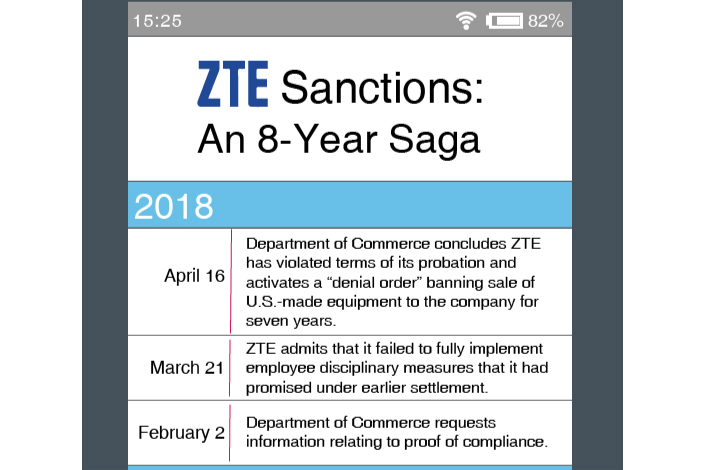 But Washington later determined the company hadn’t fully complied with the settlement by failing to discipline certain employees, and reactivated the original ban earlier this week.Compiled by Sarah Winski, and Illustrated by Zhao Zhuoyan.